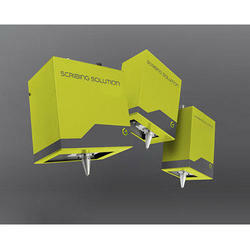 We are a leading Manufacturer of scribing marking machine from Pune, India. Designed to combine depth of marking and aesthetics, this range carries out direct marking on your parts while keeping noise nuisance to a minimum. Satisfying the noise controls in the strictest standards, it is the industrial solution for marking metal parts, sheets, tubes, etc. With an unrivaled scribing speed, the Scribing Marking Machine offers very high returns without the need for consumables. Ideal for 2D DataMatrix codes. Reliable: Constant stability, a high degree of marking repeatability, even in the harshest conditions. Looking for Scribing Marking Machine ?